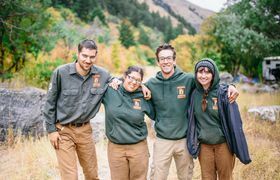 Live & Work Outdoors as Part of a Utah Conservation Corps Field Crew! Have you ever been to Utah? Outdoor. Recreation. Everywhere. Work sites are throughout Utah - in the mountains, deserts, canyon country, forests...!